Finning International Inc. announced that Juan Carlos Villegas, President of Finning Canada and Chief Operating Officer of Finning International, will retire on December 31, 2018 following a distinguished career with the company. Kevin Parkes, currently Managing Director of Finning UK and Ireland, will assume the role of President of Finning Canada. Assuming the role of Managing Director of Finning UK and Ireland will be David Primrose, currently Finning Canada's Executive Vice President of Core Industries. Kevin and David will assume their positions on January 1, 2019 and will report to Finning International's President and Chief Executive Officer, Scott Thomson. Juan Carlos Villegas was appointed President of Finning Canada in 2013. Prior to that appointment, over the course of his 20-year career at Finning, Mr. Villegas served as Chief Operating Officer of Finning International, President of Finning South America, Vice President of Power Systems for Canada, Vice President of Mining for South America and Vice President of Operations for Chile. "Juan Carlos has been an integral part of Finning's executive team and has created an extraordinary legacy for us in the work he did to rejuvenate the Canadian operations and grow our South American business," said Mr. Thomson. "His passion and commitment to our customers, employees and partner Caterpillar was evident in his ability to execute his compelling vision. We are very grateful to Juan Carlos and wish him the very best." Kevin Parkes joined Finning in the UK in 1996 and has held a variety of progressively senior positions in the equipment solutions division. From 2010 to 2015, Mr. Parkes was CEO of Hewden, a leading UK equipment rental company, following Finning's divestiture of that business. Mr. Parkes returned to Finning in 2015 to take on the role of director, equipment solutions and was appointed Managing Director of UK and Ireland in February 2016. 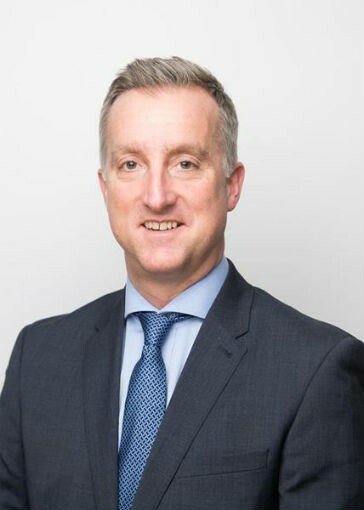 "We are excited to welcome Kevin to his new role as President of Canadian operations, as his blend of Finning and external experience, strong customer focus, and successful track record in restructuring our UK and Ireland operations have made him well suited to build on the momentum we have in our Canadian business," said Mr. Thomson. David Primrose has 30 years of experience with the company. He started in Finning Canada and held several management roles of increasing responsibility before he took on the role of divisional director, power systems for Finning UK. Mr. Primrose then returned to Finning Canada as vice-president, human resources. In 2008 he moved to Finning International as senior vice-president, human resources. In 2009 he was appointed executive vice-president, mining for Finning Canada and in 2014 he moved into the role of executive vice-president, core industries. "David will seamlessly take the helm in the UK and Ireland given his prior experience in region, solid leadership skills, great relationship with Caterpillar and deep understanding of our digital vision for our European business," said Mr. Thomson. Mr. Thomson concluded, "With these senior leaders assuming their new roles, we are assured our executive will continue to lead the company to deliver exceptional service and results for our customers and partners."